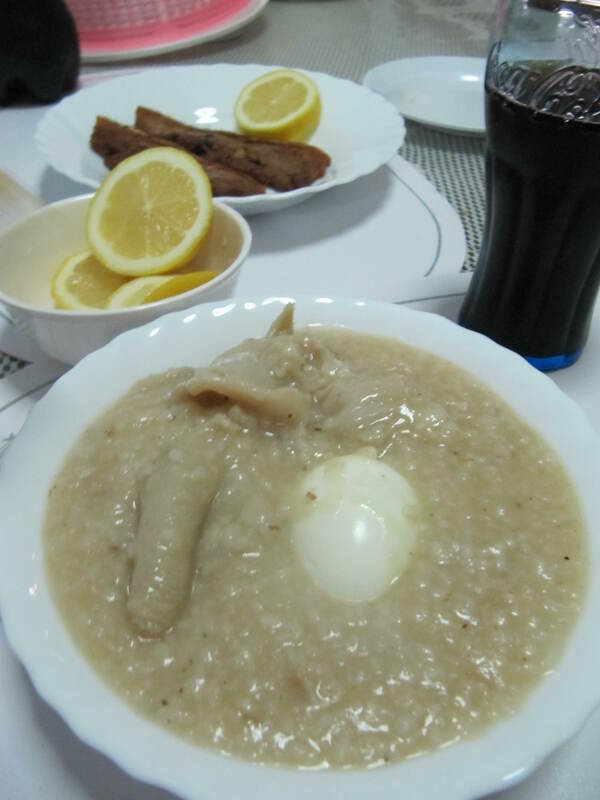 I was supposed to cook Goto (tripe congee) last night since my husband Frederick’s tonsil are still sore making it hard and painful for him to swallow food, but then he beat me to it. He served me with his steaming hot goto when I got home. The taste is great so I didn’t complain anymore. It was really delicious that I finished 2 bowls J Airene’s kids loved it too specially Allen who had 2 servings. As usual, my husband used whatever ingredients that were available in the kitchen and he is not into measuring ingredients as he calls his style “patyamba” (measuring through estimation and taste-testing only) like most of us that’s why I don’t have the measurement (except for the mutton tripe since I know how many is left in the fridge :D) . And he doesn’t want to share his “special secret ingredient” :X Our difference in cooking specially when it comes to experimental dishes is that, I record everything from the smallest ingredient to the simplest cooking procedure I made for my future reference, at least I would have a basis in cooking the same dish recipe the next time. Here are “some” of the ingredients. Since mutton tripe (tuwalya) is available, he made use of that, and Jasmine rice which is the only rice we have at home. Mutton Tripe – 250 g.
Water – approximately more than 1 liter depending on how thick you want your congee is.